West Virginia Northern Community College’s three campuses will celebrate Black History Month in February via a tribute to comedian Bill Cosby, one of the most famous entertainers in the world. Pittsburgh actor Gregory Gibson Kenney will present his one-man show, “Hey, Hey, Hey: The Life of Bill Cosby,” during special Lunch & Learn sessions in Wheeling, Weirton and New Martinsville. All performances, which are free and open to the public, will be held at noon with a light lunch served at 11:30 a.m. Dates are Tuesday, Feb. 4, at the B&O Building auditorium on the Wheeling campus, 1704 Market St.; Wednesday, Feb. 5, in Room 242, Weirton campus, 150 Park Ave.; and Thursday, Feb. 6, Room 110, New Martinsville campus, 141 Main St.
All those wishing to attend, including students and the public, should RSVP to Ida Williams, student activities program coordinator, at 304-214-8917 or by e-mail at iwilliams@wvncc.edu prior to noon on Monday, Feb. 3. Please stipulate which campus performance you wish to attend. Cosby recently announced a new chapter in his life: he is interested in beginning a new television comedy series. Kenney is from Educate Us Productions and his direct website is www.educateus.org. 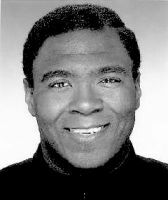 A professionally trained actor, Kenney studied at the Pittsburgh Playhouse in association with Point Park College. He has performed in numerous feature films, theatrical productions and commercials. In 1998 Kenney was awarded the YWCA Racial Justice Award. He serves on the Education Advisory Board of the National Baseball Hall of Fame.